Top White House economic advisor Larry Kudlow on Friday ridiculed China's threat of $60 billion of retaliatory tariffs as "weak" and said the world's second-largest economy was in significant "trouble." After China threatened to impose new retaliatory tariffs on a variety of American goods -- everything from beef to condoms -- the war of words between Washington and Beijing escalated yet further. Warning that China had "better take President (Donald) Trump seriously," Kudlow insisted the Asian giant "is in trouble right now -- their economy is lousy, investors are walking out, the currency is falling." Beijing's latest salvo came after the Trump administration upped the ante in its plans for additional tariffs on Chinese goods worth $200 billion, suggesting the rate could be increased to 25 percent. "I might think the $60 billion is a weak response to our $200 (billion)," Kudlow said dismissively, while admitting that "there is a lot they can do to damage our companies in China." The US imposed 25 percent tariffs on $34 billion of Chinese goods in early July, with another $16 billion to be targeted in coming weeks, drawing an in-kind retaliation from China. The Republican president has been keen to show he is tough on trade ahead of tricky congressional elections in November, joking at a rally in Pennsylvania on Thursday: "China is not happy with me." "The politicians just watched as other countries stole our jobs, plundered our wealth and got the crown jewels of the American economy," he told supporters. "I am not another politician. I keep my promises." But there are increasing signs of White House concern about the impact of the spat on Trump's political base. An all-out trade war could overshadow Trump's otherwise solid economic record of low unemployment and stimulus-fueled growth. "China always believes that consultation on the basis of mutual respect, equality and mutual benefit is an effective way to resolve trade differences," the Chinese commerce ministry said. "Cooperation is the only right choice for China and the United States," Chinese Foreign Minister Wang Yi said after meeting US Secretary of State Mike Pompeo in Singapore, according to China's official Xinhua news agency. Washington and Beijing are locked in a battle over American accusations that China's export economy benefits from unfair policies and subsidies, as well as theft of American technological know-how. Trump has threatened to slap tariffs on virtually all of China's exports to the United States. 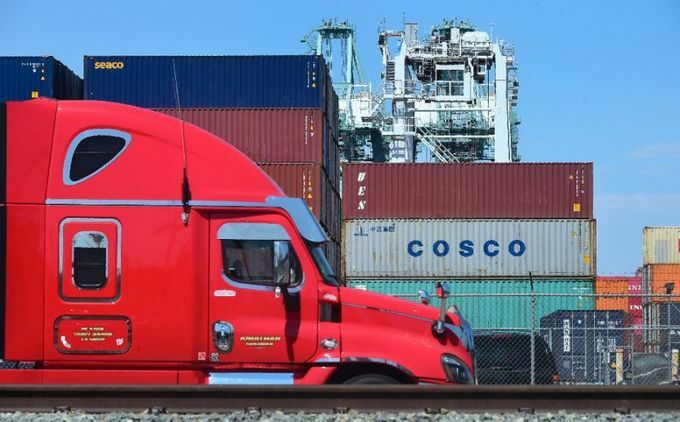 The latest round of US tariffs would range between five percent and 25 percent and would hit 5,027 products -- a variety of agricultural goods such as beef, as well as small planes, chemical components, textiles, liquefied natural gas and condoms. Beijing cannot match those measures dollar for dollar, as its exports far exceed imports. But analysts say that China can absorb the blow by expanding stimulus programs, fiscal spending and bank lending. The yuan has also declined recently, threatening to take some of the bite out of tariffs by making imports cheaper, though the central bank took measures on Friday to stop it from falling any farther. "The US and China have backup plans in areas like technology and agriculture, where they can look towards importing from third-party nations," Ye Tan, an independent Chinese economic analyst, told AFP. "The Chinese are also coping by lowering the rate of the yuan, while the US can look towards countries in Southeast Asia as replacements for its imports, so it's not a big issue."